7:35 - Students picked up by teacher and enjoy breakfast in the classroom. 7:45 - Tardy bell: All students are in their classrooms ready to learn! 3:00 - Dismissal for all students. ARRIVAL OF STUDENTS: We want your child to safely arrive at school! Students may be dropped off at school beginning at 7:15 am. Students may not be left unsupervised before that time. · Traffic moves clockwise around the school and is ONE WAY on Midbury Road. · Student drop off location is on Midbury. Please use only this location for the safety of your child! Please remain in your car. Your child may safely exit your vehicle and walk directly and safely into the front of the building/main entrance. · Please DO NOT drop off or park in the Teacher’s Parking Lot or by the Portables. · If you park and walk your child to the front door, please cross your child between the corner crosswalks at all times. Please note that for safety reasons, parents must drop off students at the front door and may not wait with their children in the main foyer. 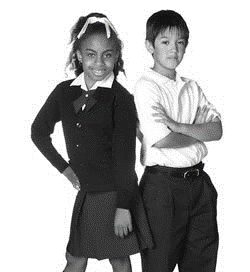 · Students in grades Pre K-1 report to the Auditorium. · Students in grades 2-4 report to the Gym. · Students in grade 5 report to the Cafeteria. ***For safety and security reasons, no students, parents, or other visitors may wait in any other locations or join their student in the Auditorium, Gym, or Cafeteria. We want every student here all day, every day! Late arrivals (after 7:45) and early pick-ups (before 2:00pm) count as partial day absences. If a child leaves the campus before 10:00 am or arrives after 10:00 am, the child will be counted absent for the entire day. · According to Texas Education Code 25.092 (Minimum attendance for Class Credit), a student may not be given credit if he/she misses more than 90% of class days. · If your child is in danger of hitting a 90% attendance rate you will be contacted via letter to set up a meeting with the principal, your child will make up the time in tutoring or via special project, and your child will be set up with a Principal’s Plan for attendance recovery. A picture ID is required to pick-up a child early from school. Only adults listed on the child’s emergency card or enrollment form may take the child from campus. Once cleared by the attendance office, the child will be called to meet the parent in the office. Due to safety concerns, there will be NO early dismissal between 2:30-3:00 pm. · Every effort should be made for doctor, dentist, or vision appointments to be made after school. · If appointments must take place during the school day, the student is required to attend as much of the day as possible, and a doctor’s note is required to excuse the appointment. · Every absence should be followed by a note from home stating the nature of the absence; however, submitting a note does not automatically ensure the absence will be excused. · For an absence to be “excused,” notes must be sent to the teacher within THREE days of the student’s return, or the absence will remain unexcused. o Phone calls or verbal communication cannot be accepted in lieu of a written note. o Any excuse note can be investigated by the principal or her designee. o Excuse notes must contain the dates of the absence, the signature of the parent/guardian, and the reason for the absence. · Five consecutive absences require a doctor’s note. · Absences due to vacation, babysitting, missing the bus, family illness, oversleeping, etc. are unexcused. Let’s be on time! In addition to late students missing essential learning, tardy arrivals are disruptive to the overall classroom and other students’ learning. Students with repeated late arrivals after 7:45 will be asked to make up any missed work and time. · Students arriving after 7:45 am will be considered tardy. · Students arriving after 7:55 am will be giving a partial day unexcused absence (T99). Please note that multiple T99’s will result in a Truancy Court referral. District policy states that students and parents are subject to prosecution if the student is absent without an excuse: ten (10) or more days or parts of days in a six-month period, or three (3) or more days or parts of days in a four-week period. The school is also required to report truant students to the court system. A warning letter will be mailed when the 3rd unexcused absence occurs (within a 4-week period) including partial day absences. On the 10th unexcused absence (within a 6-month period), the parent will be summoned to appear in court. Parents may be fined up to $500 per unexcused absences, required to attend counseling, and/or com-munity service for failure to ensure that the child adheres to the compulsory school attendance law. Teachers in each grade level will create a Behavior Management Plan that will clarify additional classroom expectations, reward systems, and consequences for inappropriate behavior. Parents/guardians and students will receive a copy of their grade level’s Behavior Management Plan. Disruptions, classroom discipline violations, and consequences will be communicated by the teacher(s) to parent/guardians in a timely manner. Parents/guardians and students will also receive a copy of the Dallas ISD’s Student Code of Conduct. Behavior expectation assemblies will be conducted by the counselor and administrators on campus to review school appropriate behavior. Students that violate the Student Code of Conduct will receive an office referral. Parents/Guardians will be notified by teachers and campus administrators of violations and consequences. We strive to develop the IB Attitudes: enthusiasm, independence, tolerance, creativity, integrity, respect, curiosity, commitment, appreciation, confidence, empathy, and cooperation. Students “spotted” showing IB attitudes will receive “Spotted Tickets”. Two winners will be drawn, per grade level, to select a prize from the “Principal’s Spotted Ticket Prizes” each week. Winners will be announced each Friday during the daily announcements. Free breakfast is provided to students in the classroom from 7:35 to 7:50 am. Textbooks and library books are checked out in your child’s name. He or she is responsible for all books and must pay for them if they are lost or damaged. The only time students should bring toys, games, electronics etc. to school is when their teacher instructs them for an academic reason. 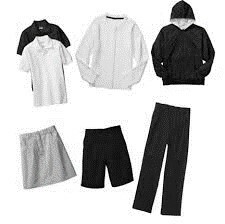 The student will assume responsibility for any item brought to school. Campus policy prohibits elementary students from using a cell phone while on campus. If a student is on his or her phone during school hours, it will be sent to the office and the device must be picked up by a parent/guardian. On the second time, the phone will be taken to the office and a $5.00 fee will be assessed when the phone is picked up by a parent/guardian. On the third time, the phone will be taken to the office and a $15.00 fee will be assessed when the phone is picked up by a parent/guardian. For more information, see also “Tutoring,” and “Sports”. In addition to the above activities, Kramer partners with the YMCA to provide an after school program on campus. Kramer also sends students to Youth Believing in Change (YBC), Churchill Recreation Center and Brighter Day Academy. Please contact these individual organizations to request more information! A printed school calendar is made available to each family at the start of the school year with important dates and events. To keep you informed of your child’s academic progress and important school information, a weekly Colt Folder will be sent home each Tuesday. It is important that you review your child’s work, read all notices sent home, and return any needed forms to your child’s teacher. All Kramer staff and PTA announcements will be sent out through the Remind app. See your child’s teacher or visit the PTA website for information about joining Remind (kramerelementary.org). Parent/Teacher Conferences will take place twice during the year. Your child’s homeroom teacher will reach out to set an individual conference time with you for the week of October 8th-11th in the fall and for the week of January 14th-18th in the spring. Parent and teacher communication is vital to the success of your child! Parents are urged to contact the school whenever the need arises. Teachers may be contacted by note or a call to the main office. Teachers are not available to discuss concerns until after school; however, they will return phone calls within 48 hours. If you wish to have a conference with your child’s teacher, please call ahead to make an appointment, as our teachers’ schedules do not allow time for drop-in conferences. To best stay in communication with us, please notify the school immediately if there is a change in your address, telephone number, or person to contact in an emergency. This information is very important in case your child becomes ill or injured. We must have a current telephone number for each student enrolled at Kramer. DISMISSAL OF STUDENTS: We want your child to return safely home from school! Students are dismissed each day at 3:00pm. To ensure a safe, efficient, and accurate dismissal process each day, no student will be dismissed between 2:30 and 3:00pm! School traffic moves clockwise around the school (and is ONE WAY on Midbury during dismissal). To help support this, please ensure you do not ask you child to cross the street at pick up. Buses must pick up at the front of school, so please DO NOT pick-up or park in the front of the school between 2:30 and 3:30pm. · Pre-K and Kindergarten students are dismissed through the doors facing St. Judes Drive. o The Staff Parking lot should not be used as a waiting spot or drive through at this time. · 1st, 2nd, and 3rd grade students are dismissed through the doors facing Tunica Street. · 4th and 5th grade students are dismissed through the doors facing Mason Dells Street. All bus riders will be dismissed through the front doors facing Midbury. · Pre-K, Kindergarten, First, and Second grade students will be dismissed by the teacher. · Students are not allowed to leave their teacher until they are dismissed. Parents must send a note to their child’s teacher if they want their child to be picked up a different way than they normally are. For example, if a student typically rides the bus, the parent/guardian MUST send a note if they want the child to be a car rider. If a note is not received by your child’s teacher, they will be sent home in their typical method of dismissal. To ensure the safety of your child, if something happens during the day, the parent must call the office before 2:00pm to make changes to how a pick-up will happen. After 3:10pm, parents must come inside to pick up their student from the attendance office. Upon pick-up, parents are required to sign, as frequent late pick-ups and any pick-up after 3:45 pm are documented. This will result in a conference with the principal and/or further referral to an outside agency. Homework reinforces classroom learning and reinforces what happens in the classroom at home! Please check your child’s homework for neatness. It will be helpful if your child has a special place to do his or her homework at home. Students should keep their homework inside their homework folder and put it in the same place each day. The lost and found tub is located in the back of the auditorium. Please clearly mark your child’s name on all possessions. Students should keep all money on their person and should keep valuables at home. Items that are not retrieved by the end of each semester will be donated. Parents are welcome to eat lunch with their child throughout the school year; however, please refrain from bringing snacks or lunch items to share. All visitors to lunch must check in at the office and get a visitor’s pass. Please note, we recommend joining your child for lunch on special occasions only, as we want to ensure students have time to socialize with each other. Administration also reserves the right to ask any visitor to leave or change this policy at any time. Finally, for safety reasons, visitors are NOT allowed to join their child at recess. Lunch Bunch begins on September 10, 2018. Parents are ALWAYS welcome in the cafeteria for Lunch Bunch! During this time, you will not just be sitting with your own child, but rather being a familiar and friendly face to students in the cafeteria. Lunch Bunch volunteers sign up online through Voly. Volunteers will encourage students to make healthy choices, eat all their lunch, help open lunch items, talk with students, and teach good manners! If a child is to receive any prescription medication during the school day, the parent or guardian must fill out a “School Medication Permission and Instruction” form and have it signed by the doctor. The medication will be kept in the clinic and be dispensed according to the doctor’s instruction. Only medication in the original container with the prescribed dosage and physician’s name clearly marked may be administered. Non-prescription medication may NOT be given unless accompanied by a written order from a physician and a written note from the parent. Campus security is a team effort! All visitors, whether known or not, must enter through the front doors and immediately report to the Attendance Office for check-in and a visitor’s pass. For the protection of our students, visitors and volunteers must present a valid form of identification to be scanned through the Raptor System. Visitors and parents will have limited access to locations throughout the building to ensure the safety and security of the faculty, staff, and students. · Only the front doors (Midbury) will be used during the day so that the entering and exiting of all visitors may be monitored. · Parents will remain outside during drop-off to ensure adequate monitoring of students, free of distractions, in the Auditorium, Gym, and Cafeteria. · No persons will be allowed in the Portable Buildings area before or after school. · An appointment is always required before visiting a classroom or meeting with a teacher. · No persons will be allowed to go to classrooms without a visitor’s pass and permission from the Office ensuring no unauthorized visitors are on campus. Classroom interruptions take away from your child’s learning! Any visit with a teacher during the school day must be prearranged. Conferences and visits should be planned with teachers and staff at least one day notice. For the safety and security of the students, all visitors, whether known or not, must enter through the front doors and immediately report to the Attendance Office for check-in. An appointment is required before visiting a classroom or meeting with a teacher. 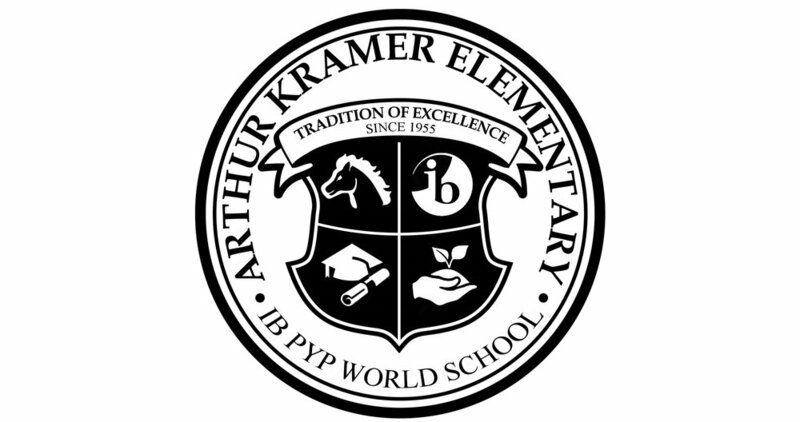 The Arthur Kramer Parent/Teacher Association exists to promote the education and welfare of our children. Parents are encouraged to join and participate in the activities of the PTA. We want your input, and are always looking for new ideas. Several PTA meetings and activities will be scheduled throughout the year. Dates can be found in your school calendar and will also be send out through the Remind app. Kramer partners with the Town North YMCA to bring our students volleyball, soccer, baseball, flag football, and basketball. Our Kramer PTA coordinates these programs, and is always looking for volunteer coaches. For more information, please contact kramerathletics@gmail.com. Tutoring is available for students in Grades 3 through 5 on Tuesdays and Wednesdays from 3:25-5:00pm with tutoring for second graders beginning in the spring. The first session of tutoring begins November 2, 2018 and runs until December 12, 2018. The second session of tutoring begins January 29, 2019 and ends May 8, 2019. Snacks and transportation are provided. Please contact your child’s teacher for more information! Your support and partnership is of great value and extremely important to us! Parents are encouraged to contact the PTA or your child’s teacher for opportunities to volunteer at Kramer. To become a volunteer, individuals must complete the training process each year. You can complete a Volunteer Application and watch Orientation online at https://dallasisd.voly.org/. Mrs. Sancedio, our librarian, can also assist you in the library. Please note: This process takes a few days to go through. An untrained, uncleared volunteer WILL NOT be able to be trained the day of a field trip or classroom event and still attend. Please ensure that you are cleared to volunteer by completing this training as soon as possible. Teachers have an ongoing list of parents/guardians/community members that are cleared, so check with your child’s teacher to confirm your status.